January 1st - How many extra bottles are you carrying? | theraceforthecafe.com . January 1st - How many extra bottles are you carrying? No Sociology this week, in this post I am going to be talking weight, a subject that as the festive season comes to an end will hopefully interest a few cyclist blog readers and none cyclists for that matter. 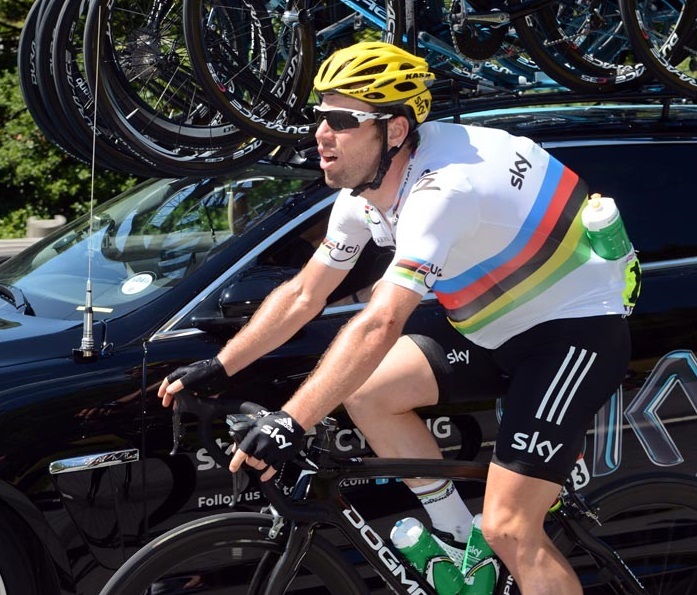 Cav back in his Sky days breathing hard and looking portly – but only because he was carrying bottles for his team mates. Not sure how many but I bet he felt loads better after he off-loaded them. For those readers who have been extra disciplined over the hols and whose weight is still optimal – well done you! see you next week. My PhD has taken four years, but actually writing my thesis (the hard bit) has taken me the last 18 months and it was a real grind which I didn’t particularly enjoy and as a result I would reward/console myself with a few bottles of Stella every night. The rest of my diet was not that good during this period either and nice meals and chocolate also felt like treats that I deserved. Throw in a few a holiday breaks during the same period – again as a reward for how hard I was working, with a kg or two of weight gain after each one and things had reached crisis point. There was no escaping it, I was starting to look and feel overweight (for a racing cyclist). I was pretty sure that a few tweaks to my diet here and there were not going to have the desired effect, a much more radical approach was needed. 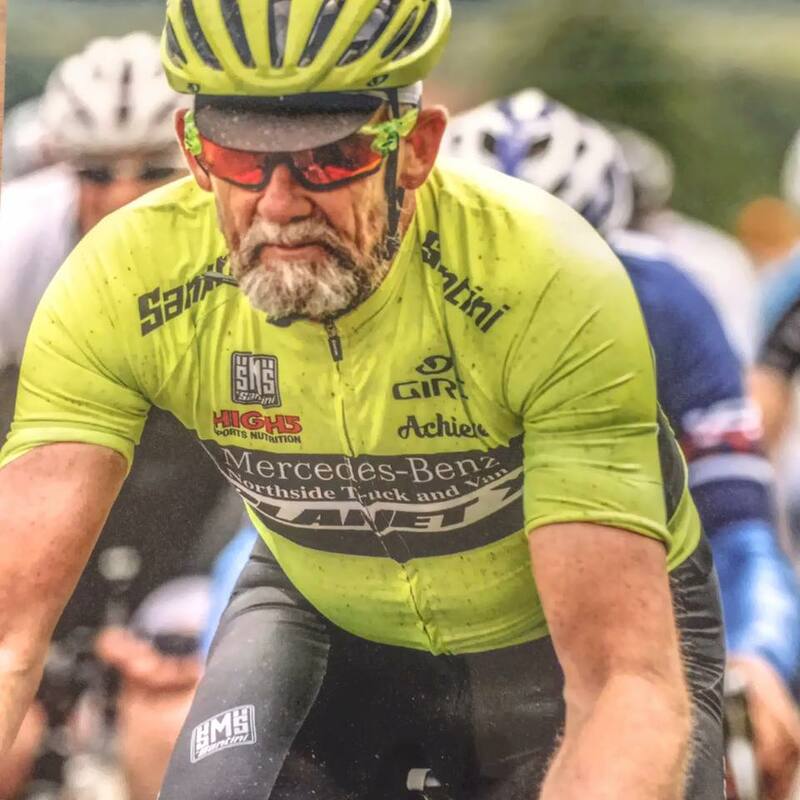 Me, racing last summer and my jersey looks as tight as Cav's (and I wasn't delivering bottles) pretty sure I was blowing a bit that day too. They say the camera never lies - good grief I am not sure how I managed to zip that jersey up! Alcohol – Had to go completely. I am not someone who can just have a drink on a Saturday night (that’s the problem) the only way for me is to cut it out altogether. It’s not that I drank that much, but I did drink regularly (every night – after all I deserved it). Rather than go ‘cold turkey’ I cut back over the course of a week. I had trouble sleeping for a few nights, but that quickly passed. Lots of health benefits from abstaining from alcohol obviously, but the biggest one for me – five thousand calories a week saved right there. Sugar – Also had to go (almost completely) I had known for some time that starting the day with three tablespoons of sugar on my corn flakes was less than ideal. There is loads of information out there on the benefits of cutting out sugar, what I found was that after a few days of virtually no sugar I stopped craving anything sweet. This made avoiding cakes, biscuits and chocolate very easy and I am convinced that cutting out sugar at the start of the day had a lot to do with it, again loads of calories saved. Reduced carbs – The third thing was to cut right back on carbohydrates (particularly bread, pasta, and potatoes). 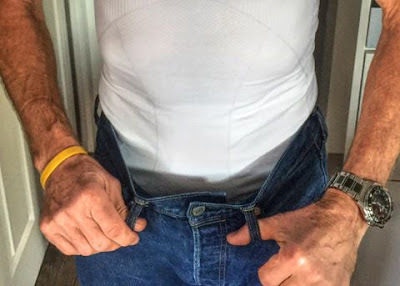 This was a radical step for me as I have been an endurance athlete for over 40 years and for all of that time I have followed a high carb ‘athletes diet’. There is a lot of conflicting information around on the best diet for athletes now, but based on what I have read recently my view has changed. I now eat carbohydrate when I need it, not all the time. 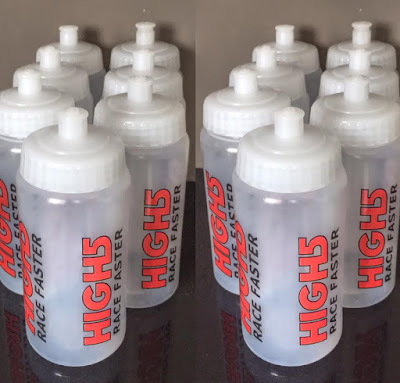 Sky/carbs - here I might ride everyday but I don’t train every day and I definitely don’t need to ‘carbo load’ for my easy roll to Myfave café for a coffee. Intermittent fasting – Finally, I decided to do some fasted (no breakfast) rides to the cafe on my none training days as there is plenty of evidence on the benefits of this approach Fasted rides - here I then decided not to have lunch on those days either, which effectively meant that I was fasting for around 18 hours two or three times a week. This is a variation on the 5-2 diet introduced by Doctor Michael Mosley in 2012 thefastdiet, which has been very popular and effective for a lot of people. In my opinion the 5-2 approach is not great for serious cyclists as it isn’t ideal to fast completely for 24hrs and then try to train (hard) the next day. I think intermittent fasting along with eating carbohydrate only when I needed it has made a huge difference and it wasn’t that difficult to do – I was starving by tea-time mind. A slight drawback is that I am going to have to get a couple of new pairs of jeans. On a positive note I feel loads better and I am pretty sure that without carrying the extra weight equivalent to all those bottles I am riding faster on the flat and when going uphill. It hasn't help me going downhill obviously, but that’s gravity for you, I am never going to be a great descender what ever I weigh. Great article Tony...you have inspired me, thank you!